But, climb we did where we paid our entrance fee and circled through a history of Norway’s national past-time of playing on the snow. 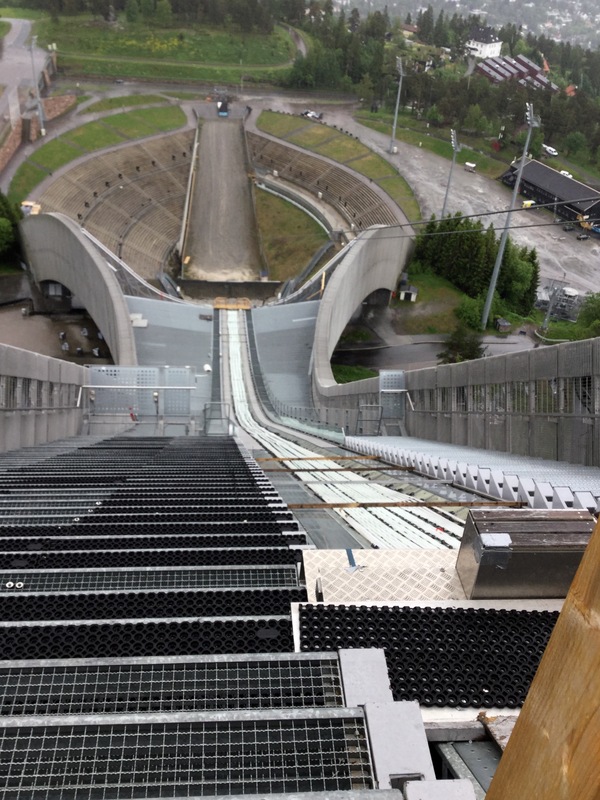 As we wandered through on our way to view the top of the ski jump, I discovered that one pole, not two, was the norm until 1890. Besides balance and braking, some poles could be used for other purposes, such as finding reindeer fodder, for drinking, even for hunting bears. 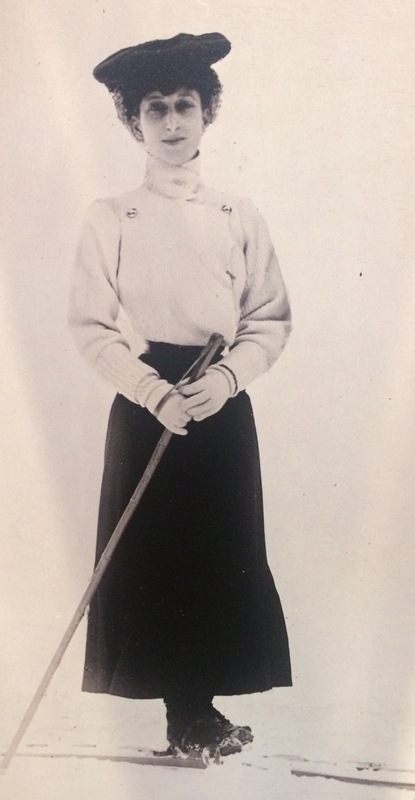 I also learned how skiing morphed from a sport for the well-to-do (those who had free time) into a national activity beginning in 1883 with the founding of the Association for the Promotion of Skiing. 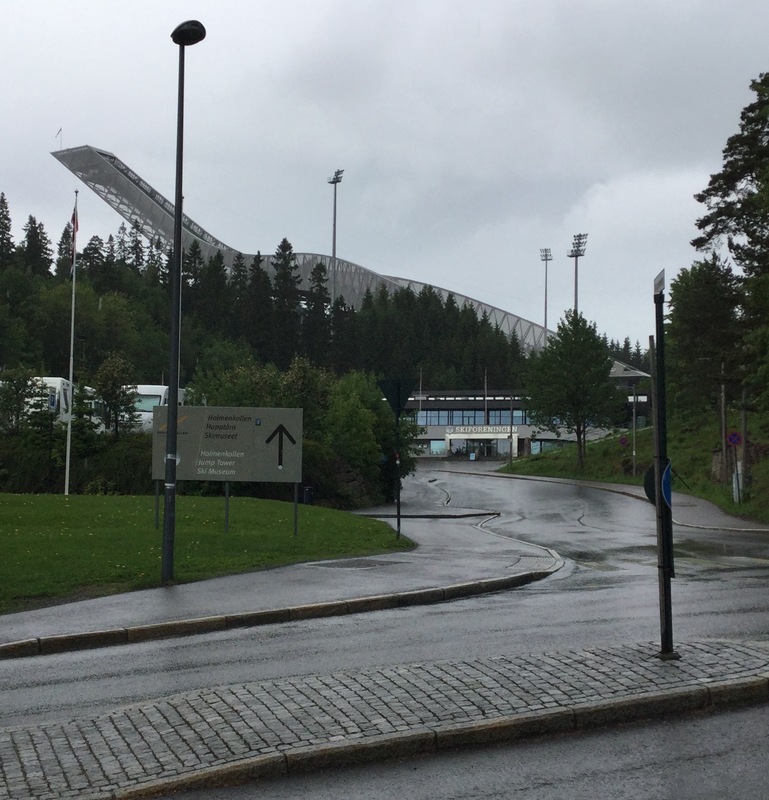 Kristiania (Oslo) purchased the recreational area, Marka, where we now stood, in 1899 so all could enjoy nature and skiing. People would take to the slopes with their skis and a picnic of oranges and chocolate. 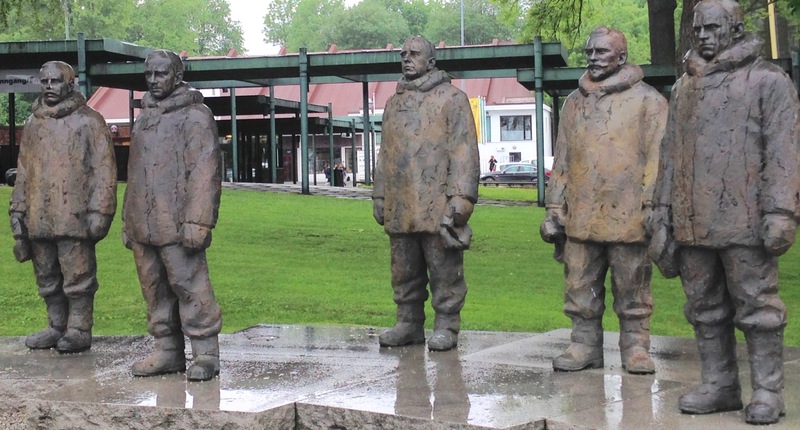 Fridtjof Nansen’s name popped up several times during our visit. 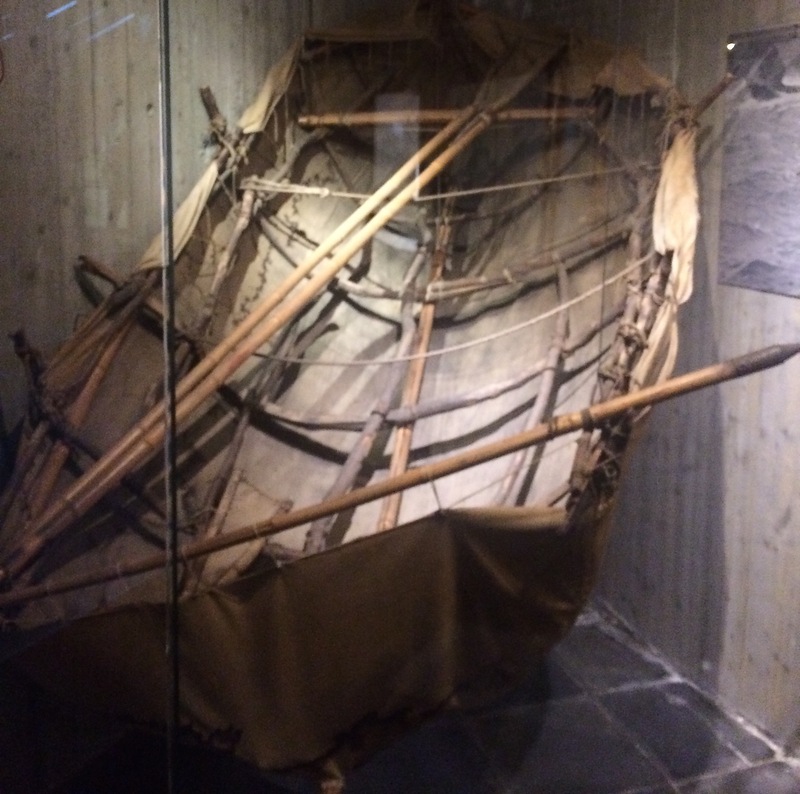 First in the displays covering some polar explorations, which is where we saw the jury-rigged dinghy, “The Turtle Shell”, that he and Sverdup used on their self-rescue ordeal in the Arctic. and their son, Hartvig, whose photo below makes me want to reach out and hug this little being. 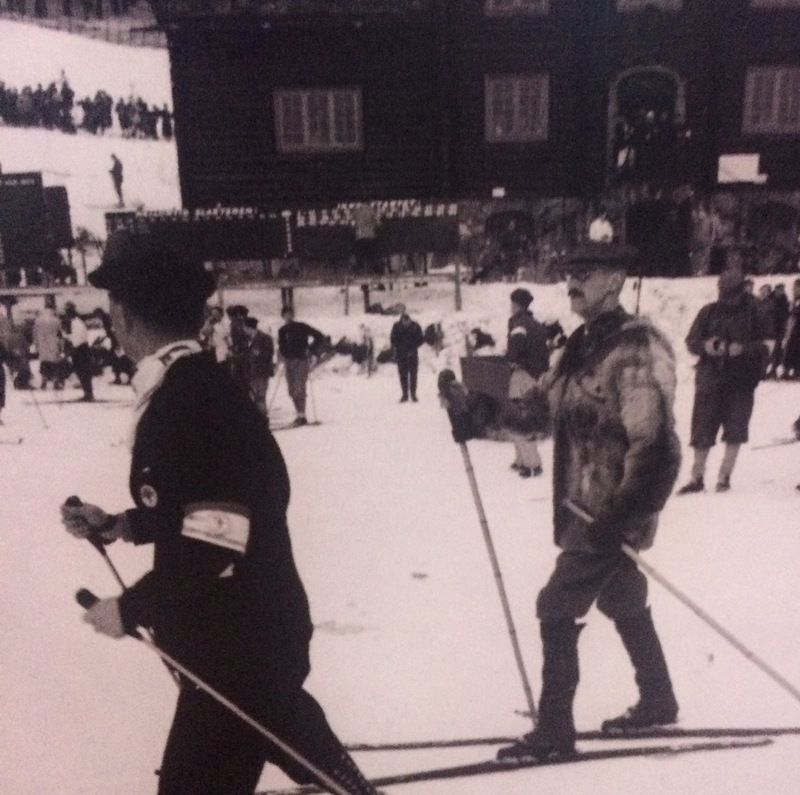 It’s not surprising Nansen was able to get the king on skis because it was Nansen’s urging of the Danish prince Carl to become Norway’s King. Another interesting tidbit picked up at this exhibit. Now we had reached the elevator for the ride to the top. My fear of heights kept me hugging the railings. All I could think of was I could NOT imagine EVER going down this on anything knowing I’d be launched into space at speeds of up to 92 Kilometers per hour (57 mph). Makes my palms sweat just thinking about it. In spite of rain a magnificent panaramo presented itself as we looked towards the city and its harbor. Since my 20s sculptures have captivated me. Not that I’m a student of this art form because I can probably name only four famous sculptors off the top of my head. All I know is when I see one, I just want to be near it. 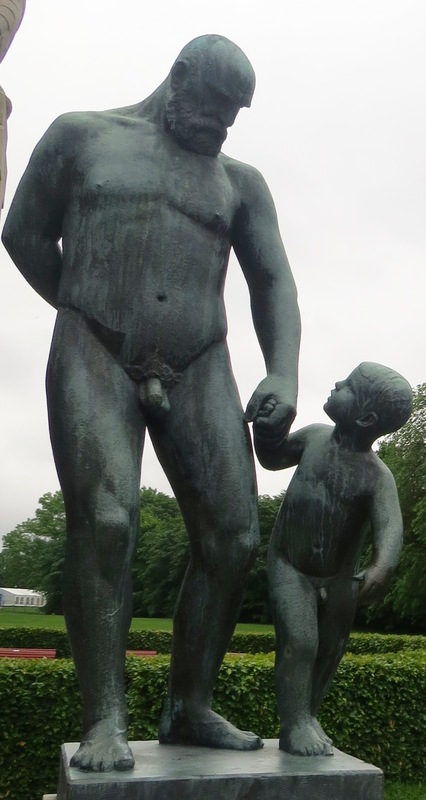 So, when I read about this Norwegian sculptor, a visit to his museum and park was at the top of my list. 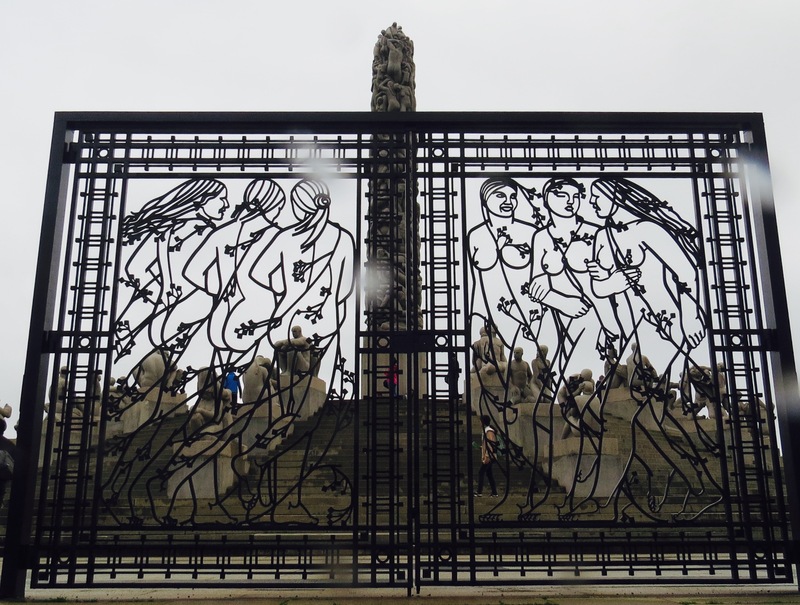 Gustav Vigeland (1869-1943) was born in Mandal, a small town on Norways southeast coast. Must have been something in that small town’s water for multiple artists came from here: Adolph Tideland (1814-1876) and Gustave’s friend Amuldus Nielsen (1838-1932), both of whose work we saw at the National Gallery. 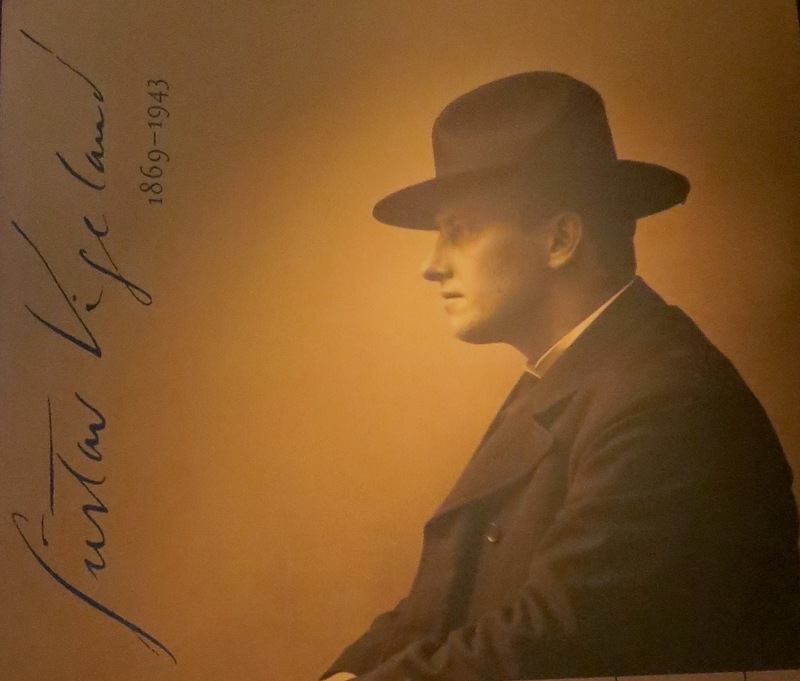 And Gustav’s youngest brother, Emanuel (1875-1948) became known for his paintings, specifically frescoes, along with stained glass and sculptures . During his childhood Gustav could be found whittling away in his father’s (a master carpenter) workshop. It became evident he had skill, which resulted in his apprenticeship to a master woodcarver in Kristiania (now Oslo). 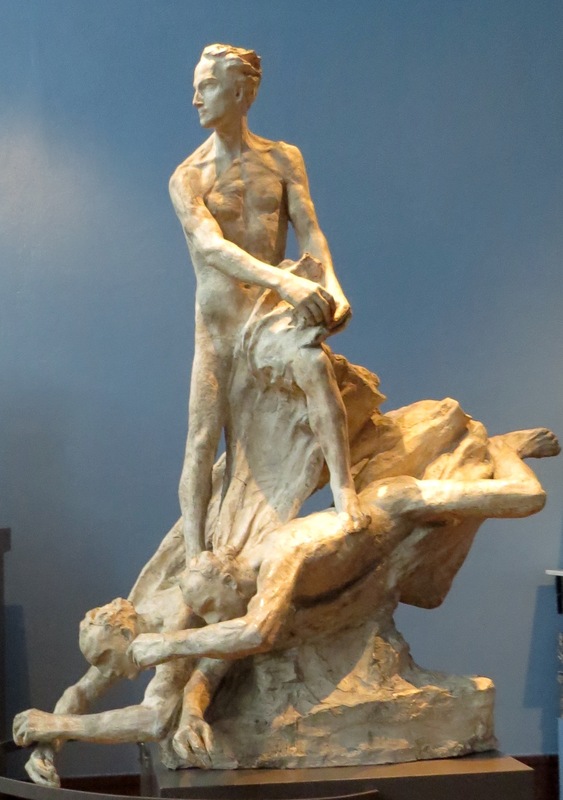 His interest migrated to sculpting, but with his father’s death in 1886, Gustave returned home to work the family farm. But, he continued his artistic endeavors by making sketches for future sculpting. Two years later he returned to the capital with hopes of fulfilling his dream of creating sculptures. After a few years of trying to earn his living as a wood carver Gustav showed his sketches to a famous sculptor, Brynhulf Bergslien. This led to the young artist’s years of working under renowned sculptors and traveling abroad as his skill as a sculptor grew. At one point he and Edvard Munch shared the same Berlin hotel address. In spite of mutual artistic respect they weren’t friends, but were instead rivals, with both creating work around life’s passages: Vineland’s “Circle of Life”; Munch’s “Frieze of Life”. During his studies he held two exhibits, one in 1894 and the last in 1899. Both cemented his fame as a sculptor. By 1921 Gustav acquired an unheard of contract with the capital: all of his works, both past and future, would belong to the city, in exchange for an annual salary and free studio space (converting to a museum upon his death). 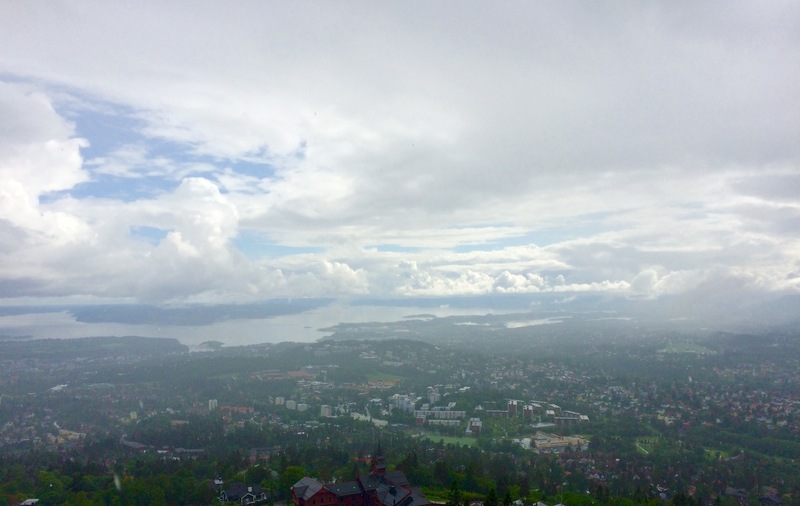 To showcase his work, a segment of Oslo’s Frogner Park would be used. 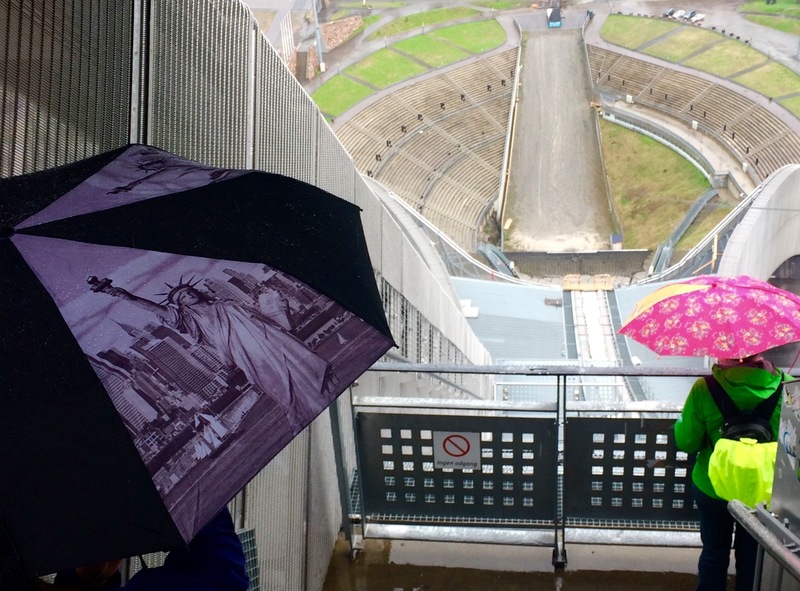 We found ourselves heading to Gustav’s museum and park on a gray day of sprinkling rain; but, seeing his work made up for any ruing of the lack of sunshine. The museum felt empty of people, which allowed us to easily roam the cavernous rooms filled with his models and explanations of the sculpting process. 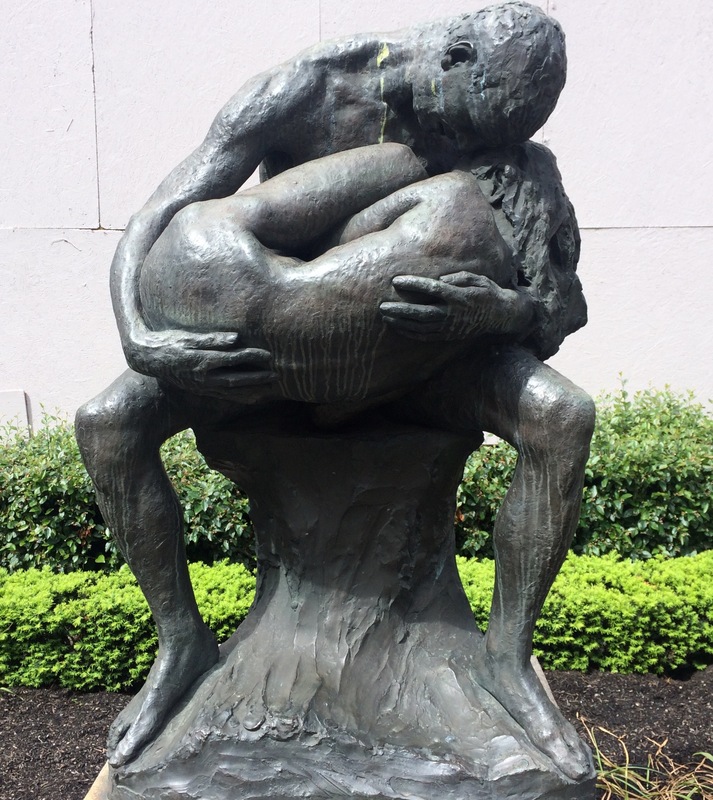 I learned he began with biblical scenes, such as Cain fleeing with his family after killing his brother Abel (1891). I mean, can’t you just feel the mother’s love for her child? Or the powerful surge of lust in this kiss? Gazing at his work found me standing open-mouth at its purity. How could a person imbue such power in such simple forms? 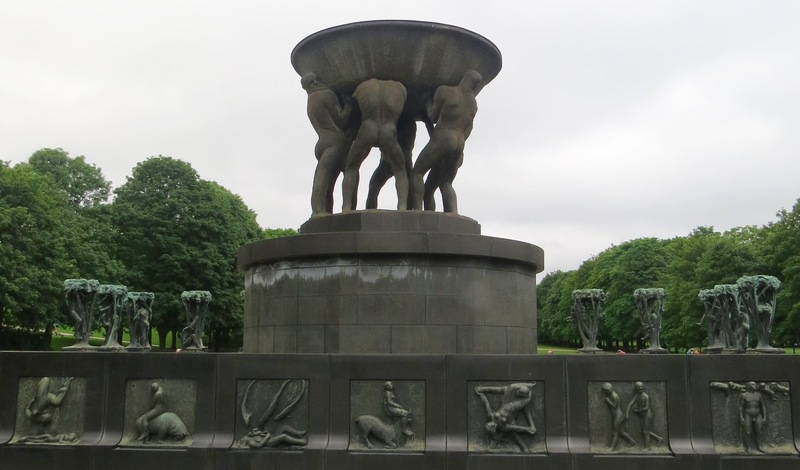 Vigeland employed fellow craftsmen to assist him in creating his monolithic statues. Stone masons, smiths (for the iron armatures inside the stone sculptures), and plasterers contributed to Gustav’s immense body of work. In 1913 granite became Gustav’s material of choice as he began sculpting in stone. With more and more pieces being created, he moved from carving the stone himself to assigning the best stone masons to recreate his plaster master copies. Under his intense scrutiny it could take up to two years to complete some of his stone groupings. 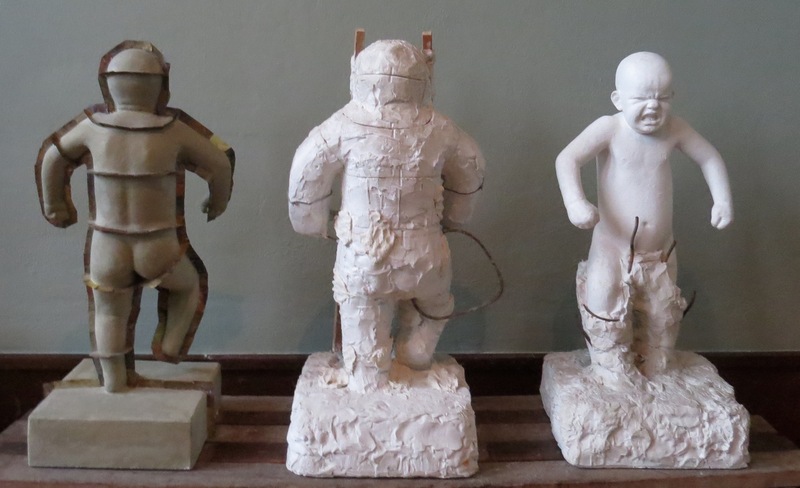 Full scale sculptures and a small one show the final layout. 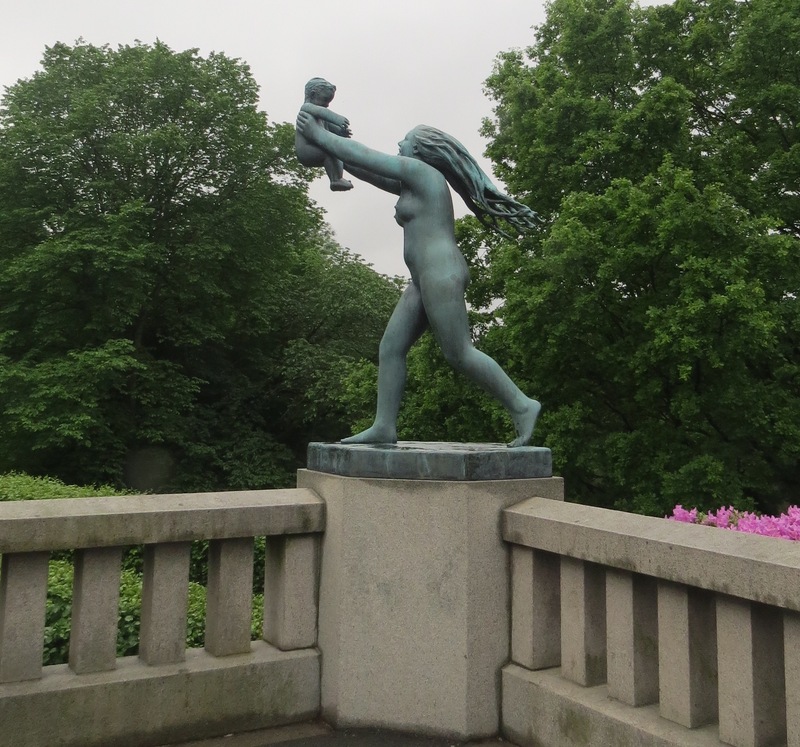 After perusing the museum we walked the short distance to Vigeland Park. There we found others who, like us, were drawn to the magnificent forms created by this artist’s imagination. The Circle of Life is the park’s main theme. Beginning in 1924 Gustav modeled all 212 pieces in clay at full-size. The final pieces were then carved in stone and cast in bronze by professional craftsmen, some completed after Gustave’s death in 1943. 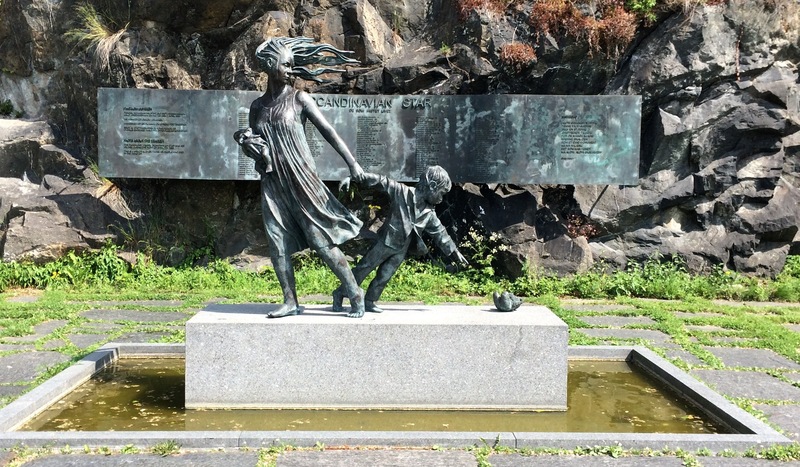 To convey the extent of his work on display at Vigeland Park could take several posts, so I’ll just mention some of the most-noted sculptures we saw, many of which the original plasters we had just seen in the museum. 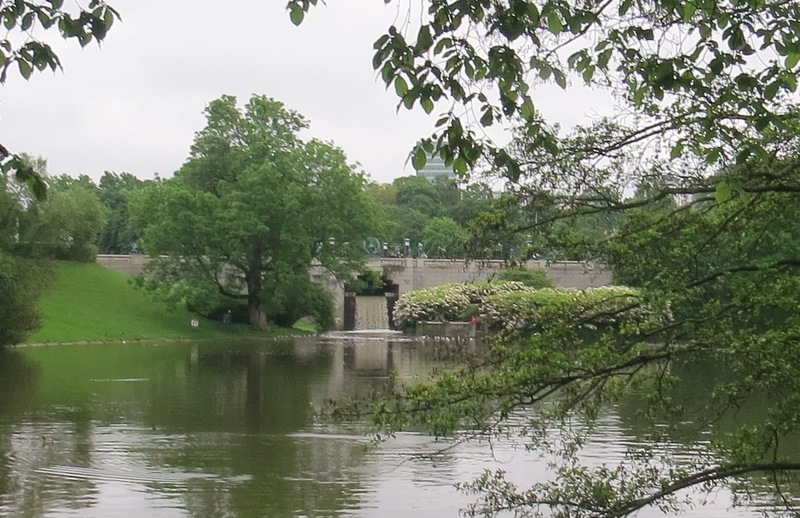 and, the bridge decorated with 58 statues, which you can just see. 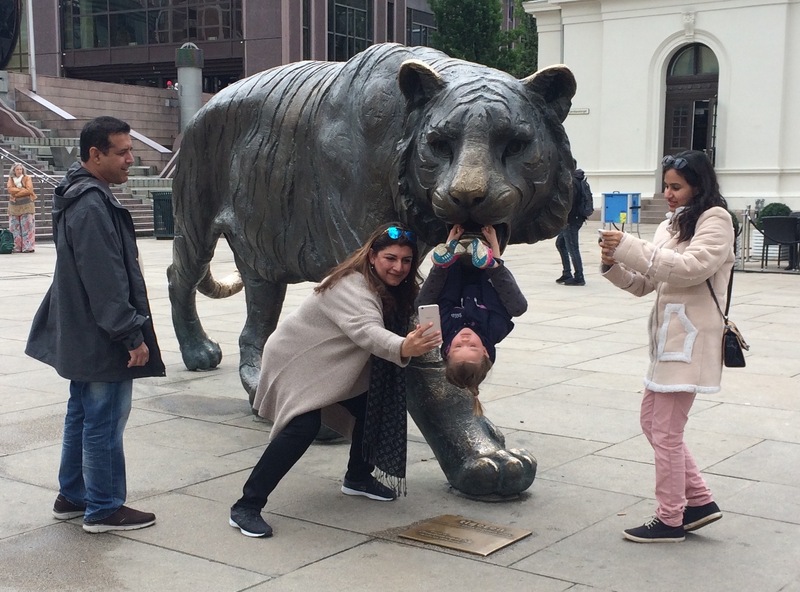 Here we saw the “Angry Boy” in bronze. You can tell his popularity where folk held his hand for snapshots. and, some, demonic behavior such as these babies tormenting this man. At the time of his death of a heart infection Gustav Vigeland had produced 12,000 drawings, 420 wood carvings and approximately 1600 sculptures. And, I could spend a lot more time gazing at every single one of them. 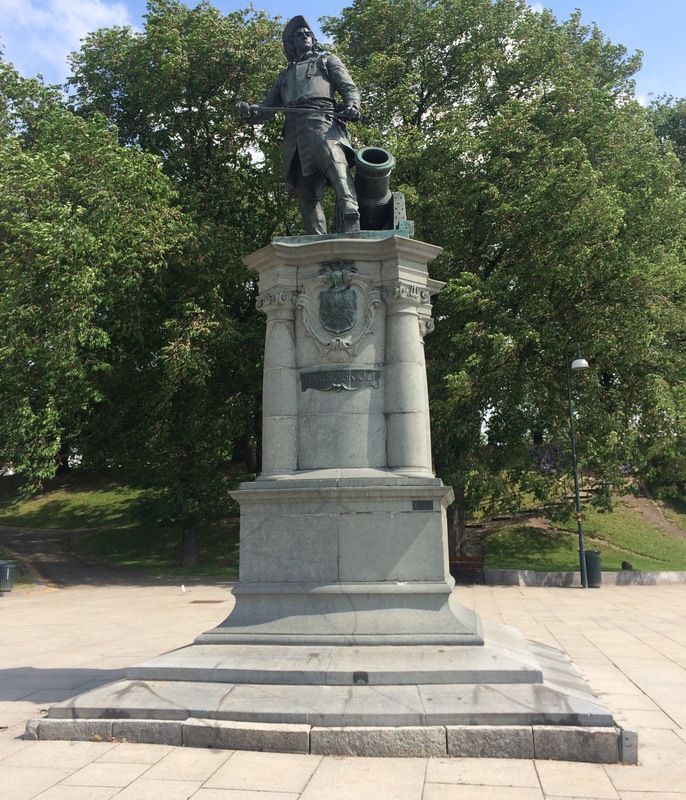 But, we didn’t have to go to Gustave’s park to realize Oslo’s abundance of sculpture. 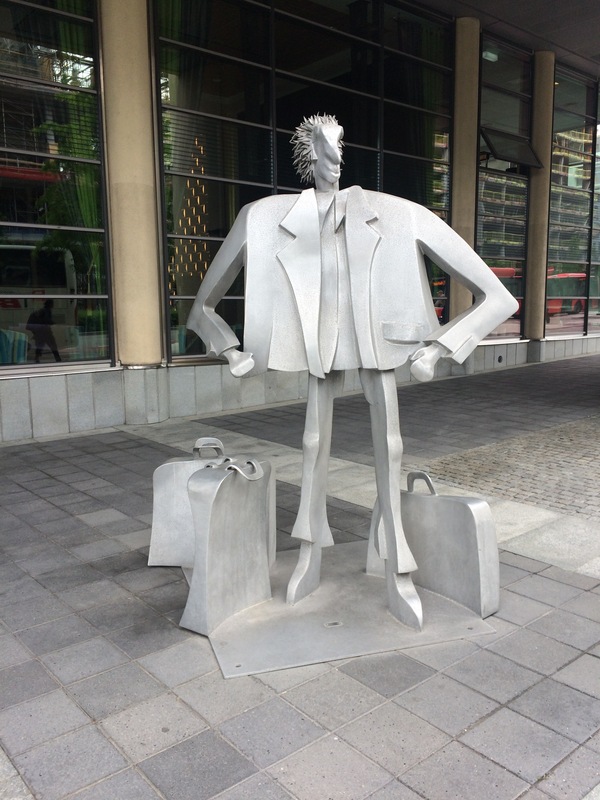 From stepping off the passenger ferry our first day I knew I was in sculpture heaven. And, some just poetic in their grace, such as this man sipping from his bowl of water. But, Gustav’s human emotions remain my favorite. OMG, you’re right! :) Another BHK! Made me laugh and had to show it to Max. I wish I could take credit re: clothed statues but it was in one of the online sources I used.